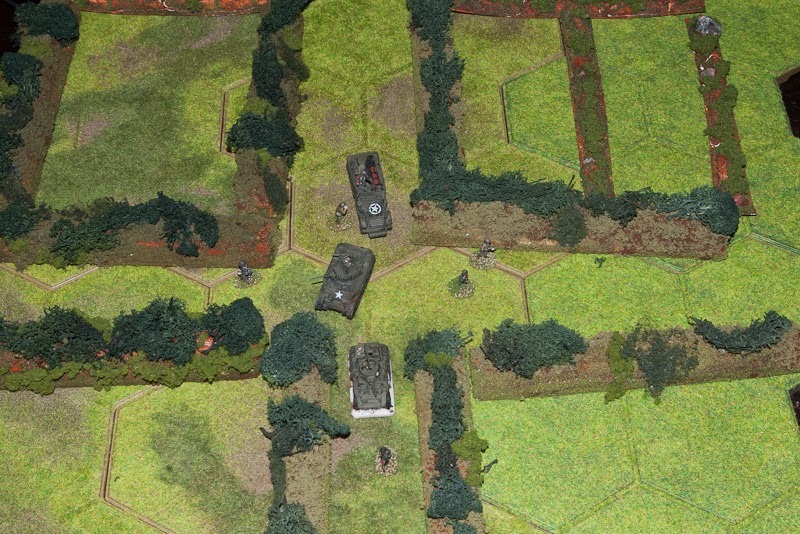 Like I said, I was not completely happy with the first 2 batches of bocage, so testing continues. By the time I have made the needed few more meters of the damn shrubbery, I probably have figured out the right way. The rest of the 2nd batch got full flocking and bushes/trees on the top of it. And in the third one I omitted the filler on to of the styrofoam, as leaving that out means several hours not spent watching filler dry. I of course ran out of clumping foliage, too, and my main hobby store did not stock it anymore, so had to improvise with other materials. Results are ok'ish and much faster to make, so I think I'll stick with this, with probably a lighter greenish basecoat of paint. 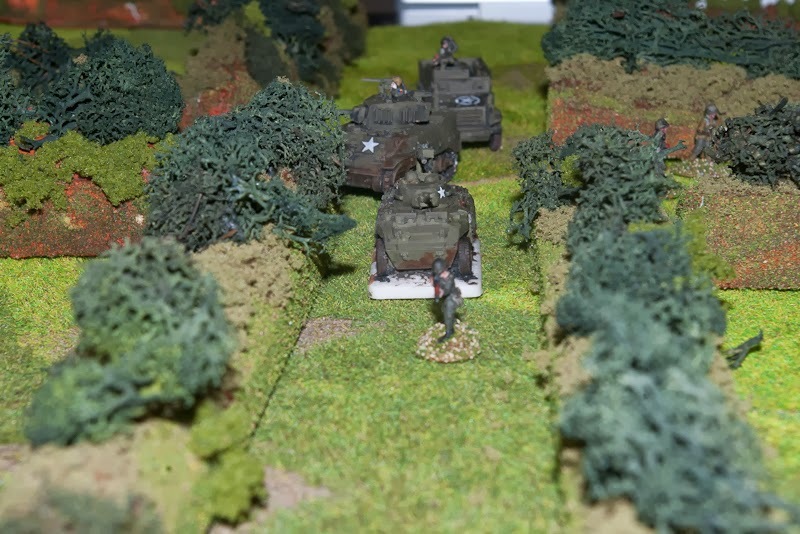 I also tried another make of hardening the foliage. Instead of applying 1 water:1glue mixture with a brush, I made 3w:1g mixture and sprayed it with a normal kitchen spray bottle. Way faster and glue is spread more evenly. Yet another column getting lost. Each little field takes 1 meter of bocage. 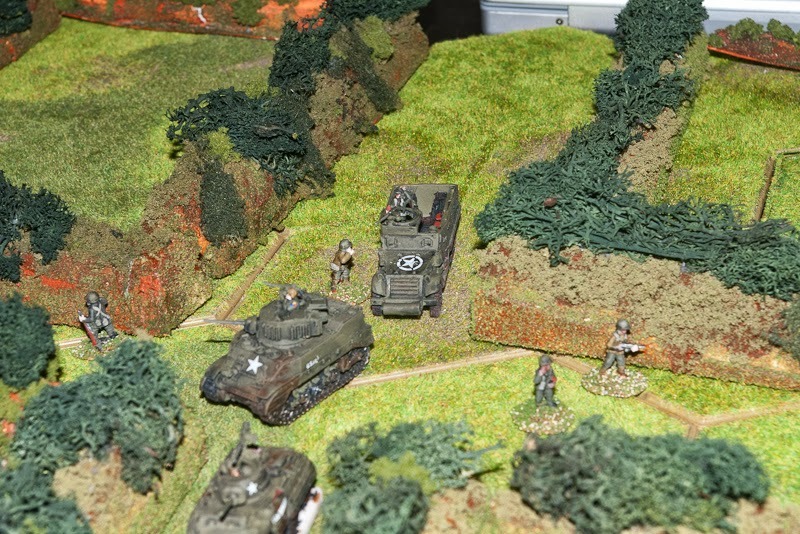 And that covers maybe 1/6 of the board.. Latest batch in the bottom, earlier by the halftrack. And Jerry could be hiding behind any of those. Scouts out!